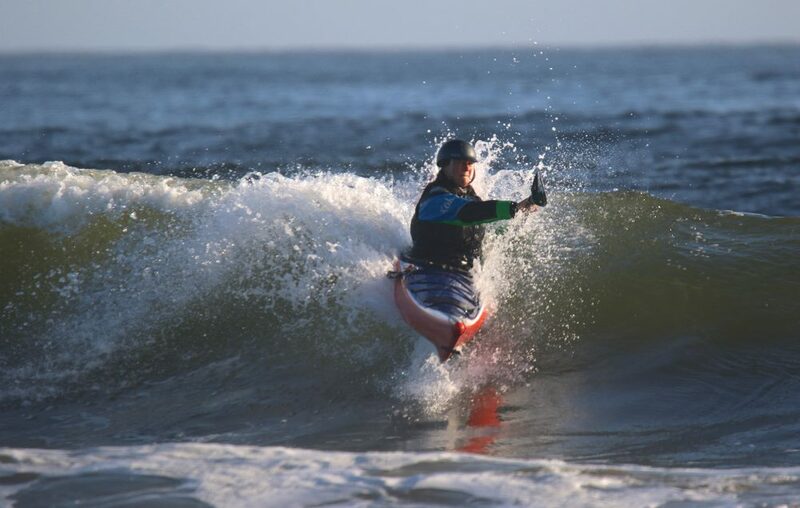 We designed this program with touring in mind build in the skills and knowledge to paddle with confidence in and around the surf zone. 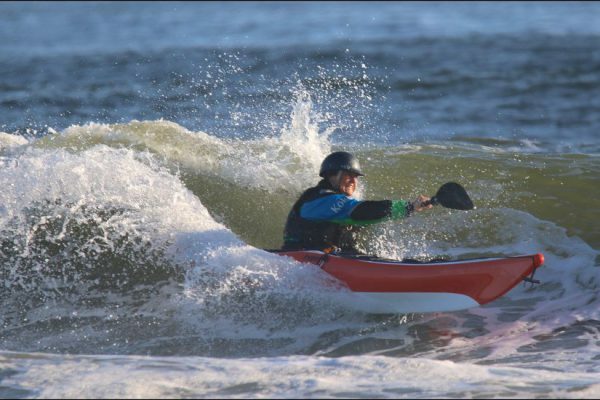 Launching and landing a loaded sea kayak through the surf can be a real challenge. 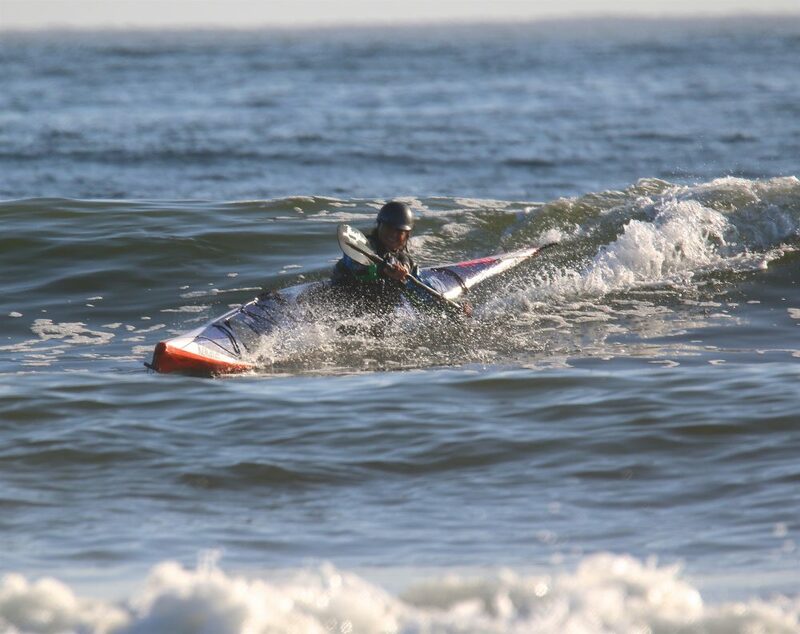 The ability to anticipate surf, read the surf zone, and control your kayak in the surf are essential skills for all open coastal paddlers. Its also a lot of fun! Surfing in Sea Kayaks is a blend of theory, skill, and experience. 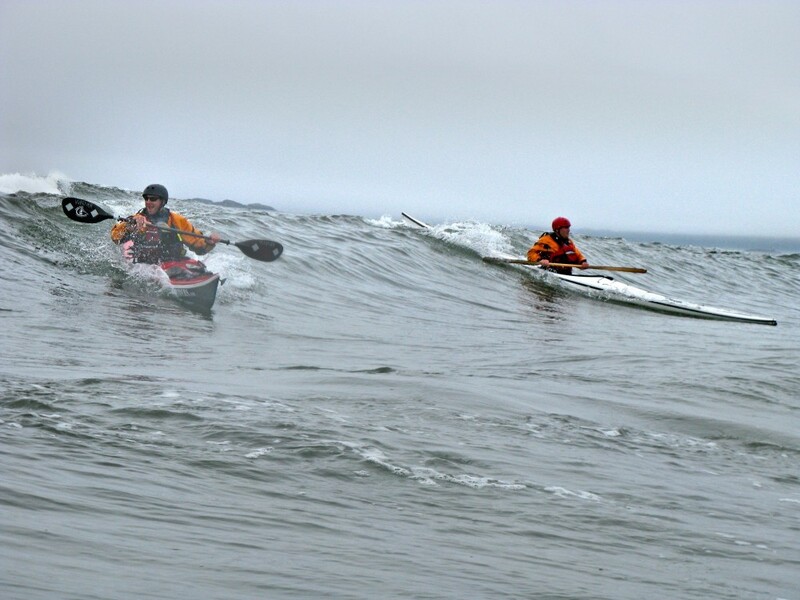 We progress step by step to maximize learning and minimize the risks.Topping it off, we run this course on the beautiful sand beaches of the Esowista Peninsula, just south of Tofino. 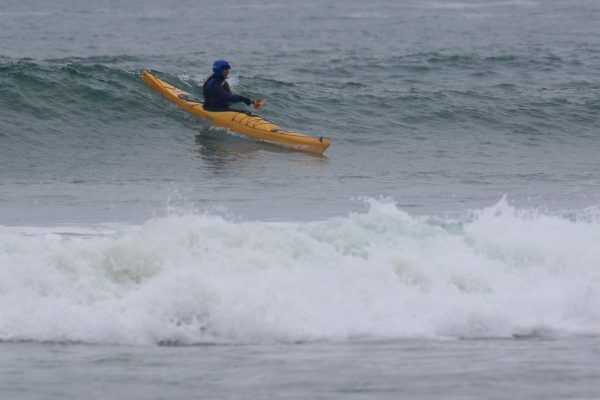 Please note that we are no longer offering kayak surfing courses at Jordan River anymore. 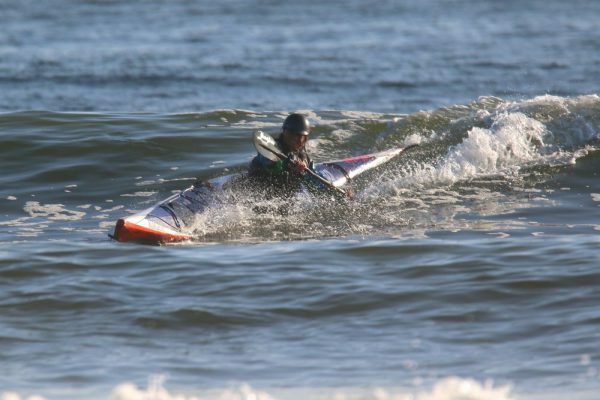 The reason is because the location is to crowded and the surf is often unreliable. 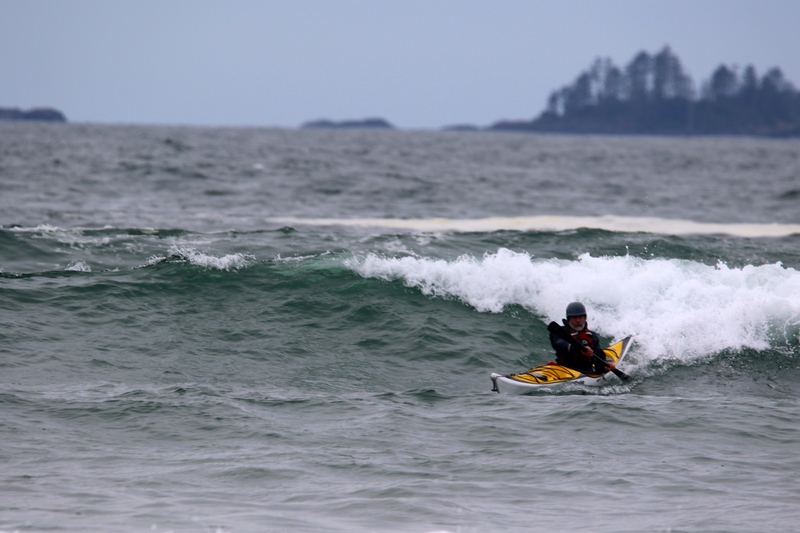 The numerous beaches between Ucluelet and Tofino provide exceptional surfing conditions with all types of sea states and wind conditions. The surfing and learning experience is much better at these locations. 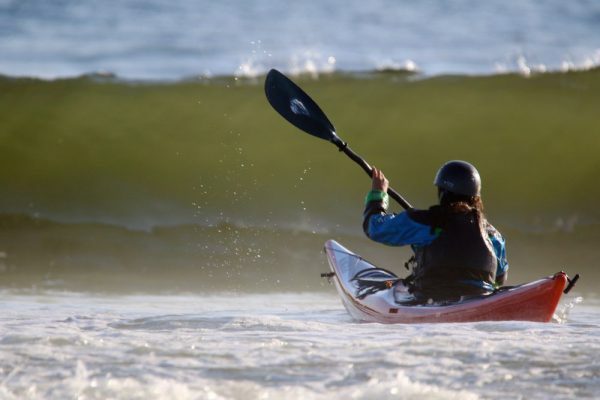 Our intermediate courses are designed to meet the needs of paddlers with some ocean paddling experience. 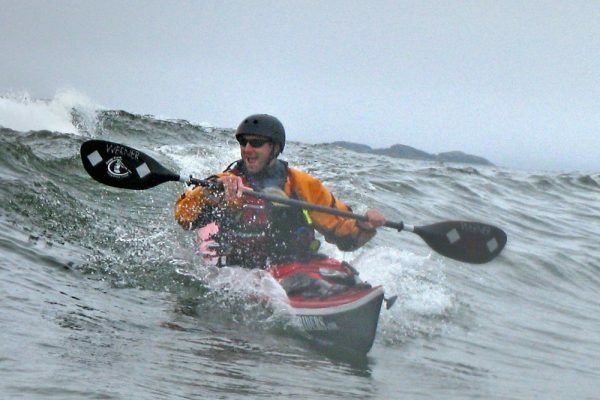 These courses cover more complex skills necessary to paddling in rougher conditions and more remote locations. Previous training is required. 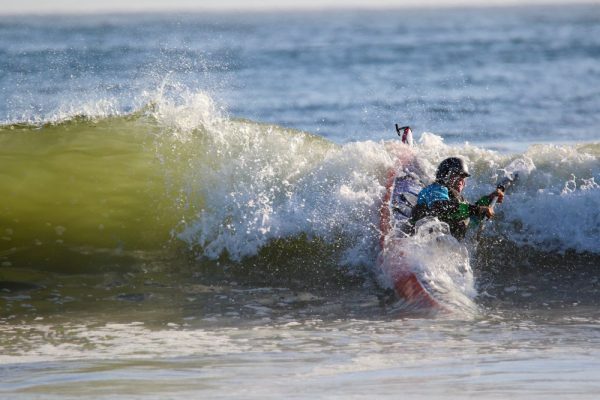 Comfort in the water is also a prerequisite. This level is a minimum prerequisite for challenging professional programs. These programs operate within exposed ocean environments. Access to emergency medical services may be delayed. 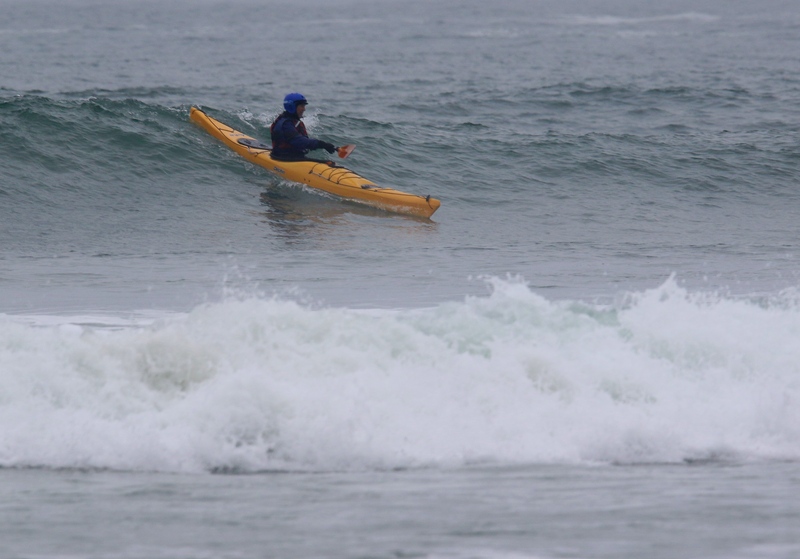 Currents, winds, swell, and surf are expected, but we try to choose areas within reasonable limits. 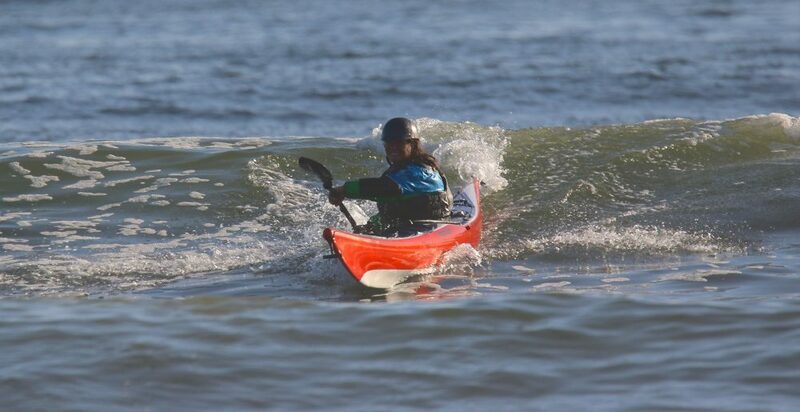 We try to limit our paddling environment with intermediate paddlers to winds less 25 knots, currents less than 3 knots, swell less than 2 meters, and surf less than 1 meter. Crossings should not be longer than 5 nautical miles. Comfortable swimming 25 metres with a PFD. 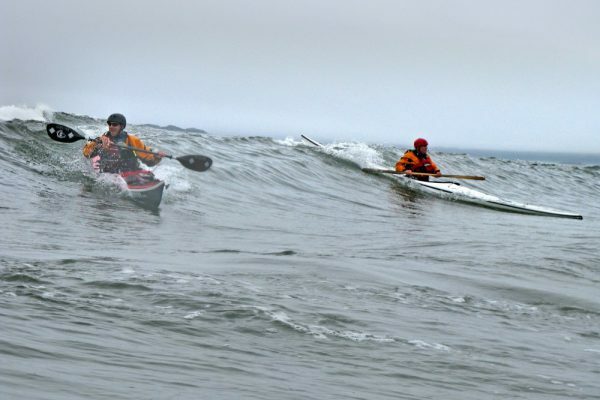 Paddle Canada is a national non profit committed to supporting canoeists and kayakers. 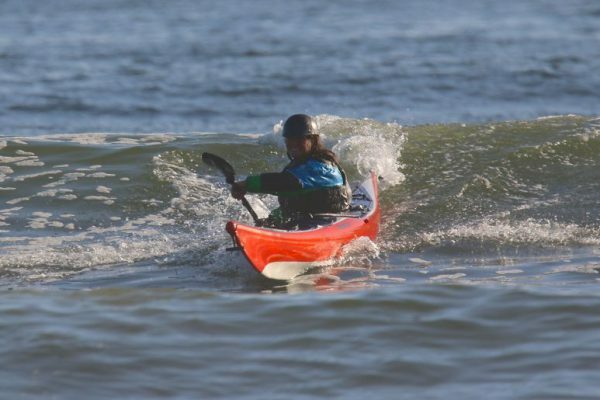 Paddle Canada is committed to meeting this goal by developing standard skill sets for paddlers and providing training to support these skills. 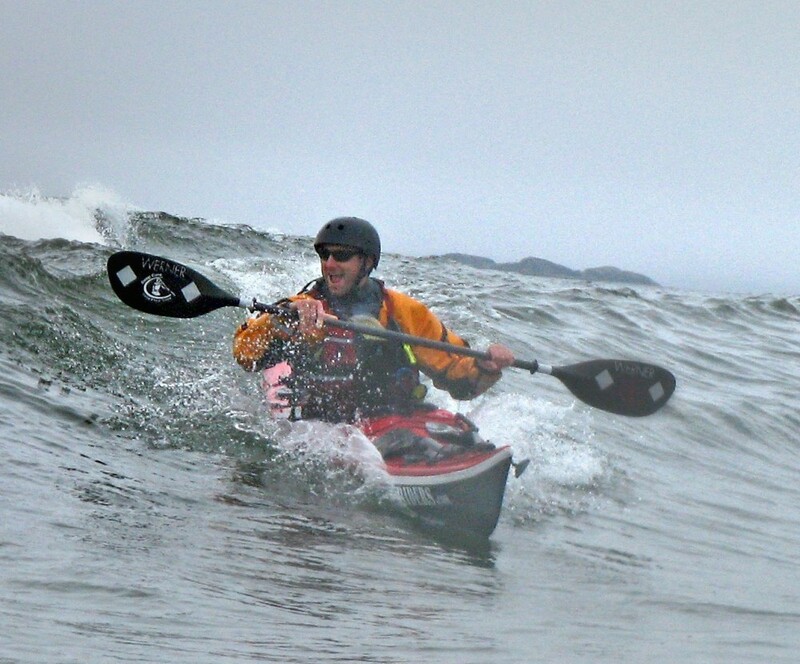 The Sea Kayak Guides Alliance of BC is a non-profit society which upholds high standards for professional sea kayak guides and operators in BC. Through ongoing professional development and certification, the Alliance strives to ensure safe practices on an industry-wide basis. The ISKGA Coastal and Advanced Guides are professional awards for people wanting to make a career in the industry. They are internationally recognized qualifications so employers can employ with confidence, knowing that each individual has received thorough training and assessment, over a period of time. Other dates are available for custom or private programs. Contact us for more info. 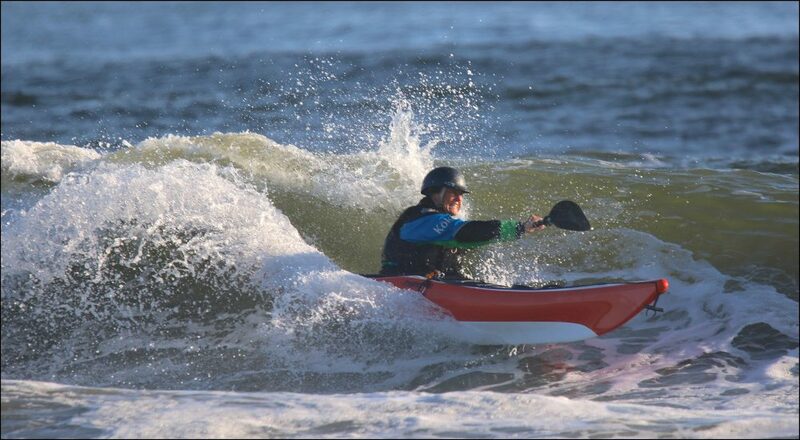 I just want to tell you how fantastic the instructor was for our SKILS water sports training this year. He was VERY knowledgeable.